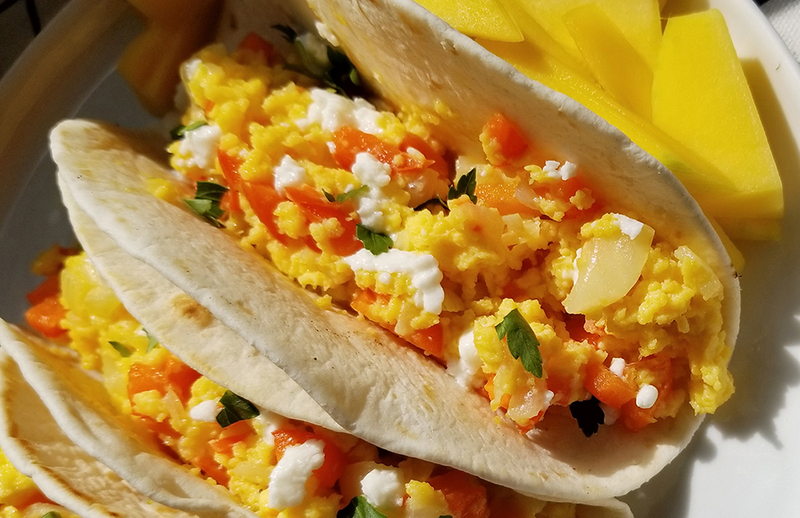 In NYC, Teen Battle Chefs create new school breakfast recipes, like these breakfast tacos. Integrated breakfast programs like these increase school breakfast participation, on-time attendance, and ensure children are fed and ready to learn. As Teaching Kitchen practitioners look to scale up and significantly broaden impact, we look to tap into existing systems – especially those that have funding infrastructure. This concept of system alignment is a key feature of public health. Taking such a ‘population approach,’ interventions of every type, including teaching kitchens, can provide both greater success and set up a model to measure impact. But what about a larger and measurable Policy, Systems and/or Environment (PSE) impact? Up until recently, although individual schools were encouraged to participate in one or more ‘leadership’ projects in their school, it was quite challenging to measure individual sites’ PSE changes. Not surprisingly, Principals have bought-in to TBC youth as influencers among their social networks. And for their part, the TBC youth are THRILLED at this exciting opportunity! The new items will be rolled out across the 1400 schools across NYC, indicating on the menu that these recipes were developed by Teen Battle Chefs! And for FamilyCook – this is a model that will continue to grow and penetrate more schools in NYC. It will also be brought to other school districts near (Philly and DC for starters) and far. But what about treatment settings? As hospital networks continue to consolidate and enjoy economies of scale, systems alignments are critical to reduce the cost of care for patients with chronic diseases. So, imagine pairing diabetic patients with impressive success stories as a result of their participation in a teaching kitchen program with newly diagnosed patients. Likewise, a food committee of nurses and other direct care professionals can create a valuable feedback loop. Patient reactions to new menu items, intended to support patient health, can then inform menus that drive impact. This would be extra valuable to progressive programs like Northwell Health’s reimagining of hospital food and NYC Health and Hospitals’ Meatless Mondays. And then of course there are the critical systems of revenue sources. Since the source of most patient revenue is health insurance, the concept of ‘shared medical appointments’ is a brilliant example of an existing revenue system aligned to support new goals and services: treatment through food education. Pioneered by the Cleveland Clinic and now spreading to Boston Medical Center and others, we look forward to more innovations in the alignment of revenue streams with this work. As you design your TK program, consider the various systems your institution has in place and how you can align these systems to provide more patient outcome data, create revenue streams and allow for uniformity and collective impact among multiple locations. We’d love to hear from our colleagues within the Teaching Kitchen Collaborative and beyond about your systems alignment successes. And if you need support to create more consistent and reliable outcomes among multiple sites, give us a shout. That’s our specialty – project and system design for reliable, replicable and measurable outcomes – at any volume!